ExecuKeys offers the simplest, quickest and most flexible dashboard & analytics for a much lower total cost of integration and ownership than all the competitors. Leverage the Extensibility of WebQuery. Create as many dashboards as you want. 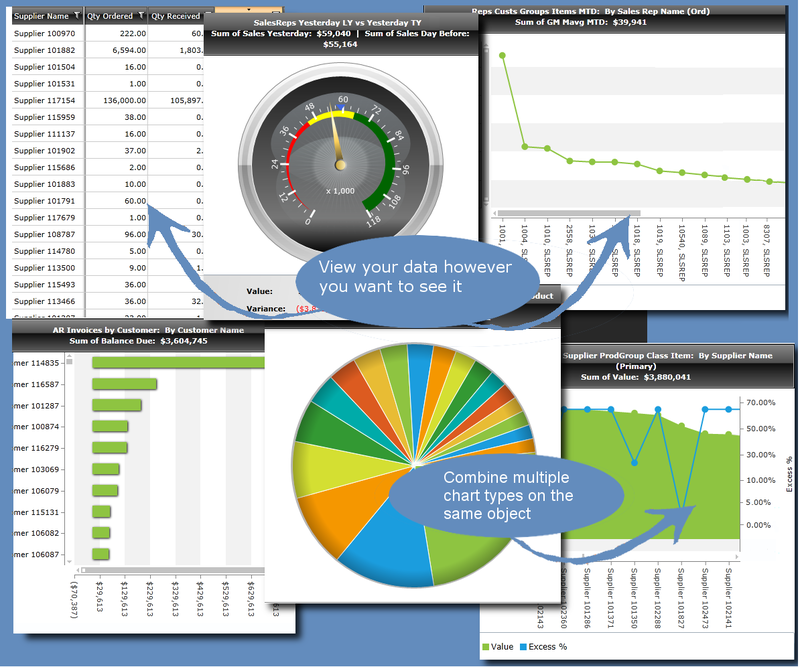 You can mix or match the object contents on any dashboard regardless of their type, data source or whether they have anything in common or not. 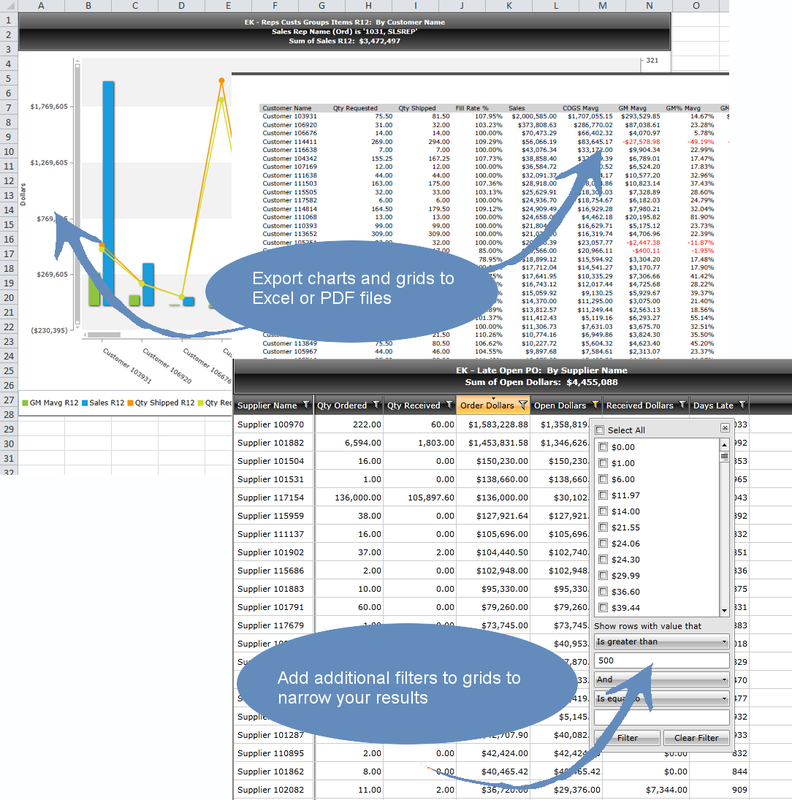 Sum up your lengthy WebQuery report into charts that are much easier to navigate. 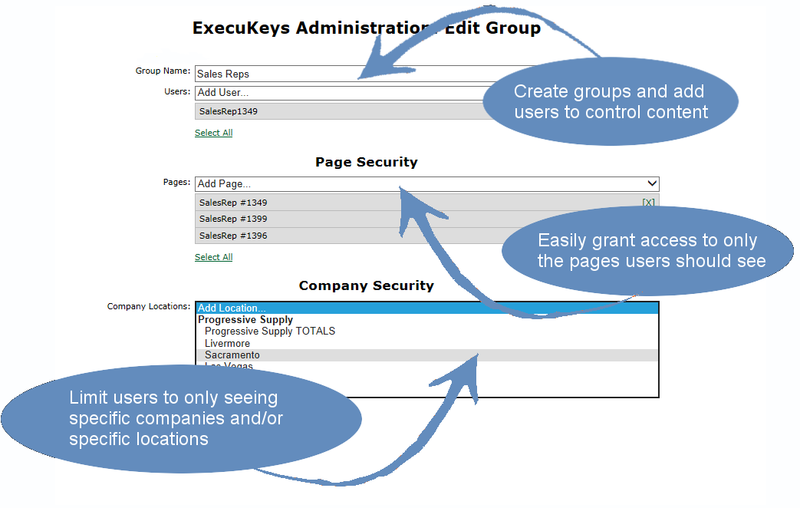 ExecuKeys dashboard objects can be created from virtually any WebQuery report. Easily define and control the tabs, charts and grids your users can see. Allow users to build public content, limit user to just building content on their own pages, or only allow users to view created content. 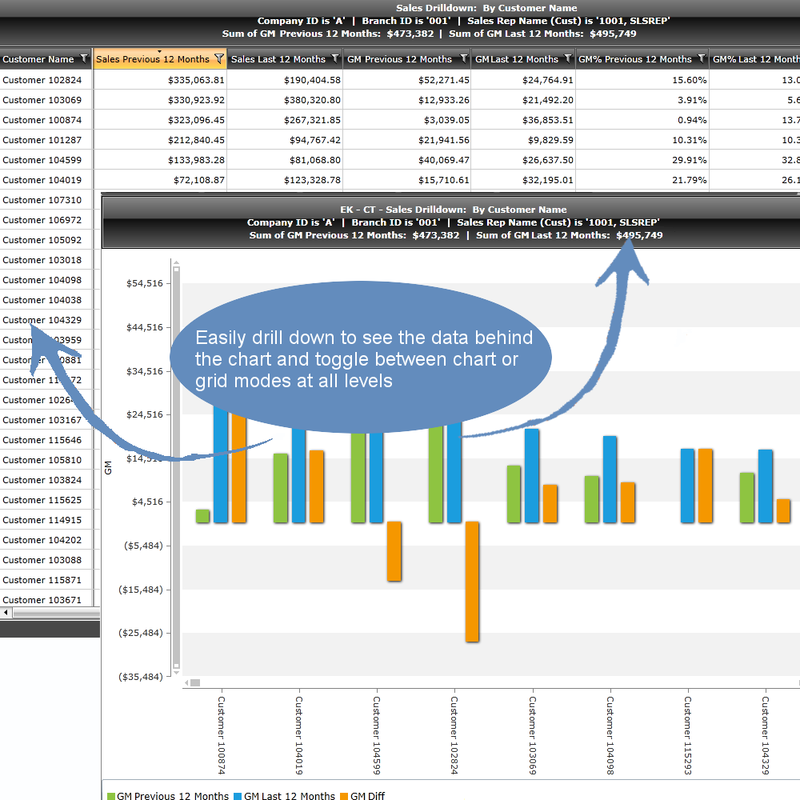 View your data in bar charts, pie charts, line charts, area charts, gas gauges and simple data grids. ExecuKeys is built on top of your existing WebQuery metadata which means no extra steps are required to integrate usable data into ExecuKeys. 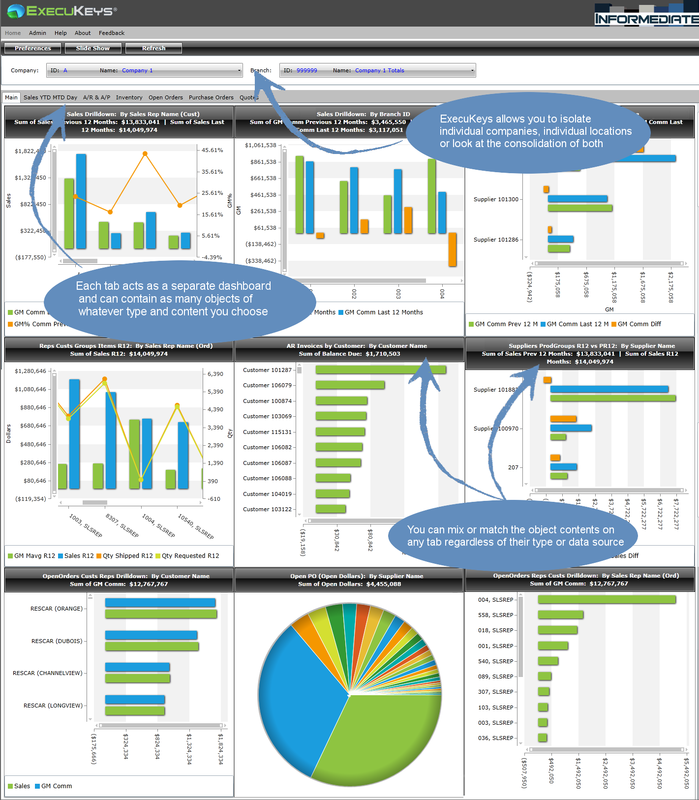 Simply build your WebQuery reports, build your ExecuKeys charts and you are done! ExecuKeys uses the same trusted authentication methods and browser based viewer as WebQuery and just like WebQuery there are no dedicated server or data warehouse requirements.